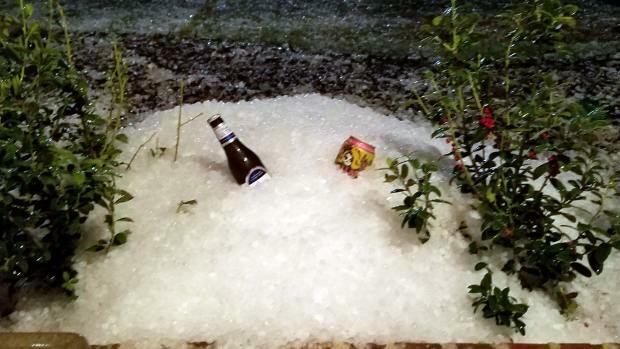 Golf ball and baseball-sized hail pounded rooftops in Collin County on Sunday night, leaving many homeowners to wake up to damaged roofs – roofs that some had just replaced from last year’s storms. Michael Knam captured video of large hailstones hitting his backyard pool and the rooftop at his McKinney home. “It was like we were at the back end of a bowling alley,” Knam said. He and his wife have been living in the home for about three years. Knam said he had his roof replaced last April because of storm damage and will now have to do it once again. It’s the same story in Frisco, at the Biermacher’s home. Their roof, now three years old, suffered enough damage from Sunday evening's storms to warrant being replaced. “I’ve been through hailstorms, but our house sounded like it was made of sheet metal,” said Matt Biermacher. "It was like a dinosaur stomping on the roof!" added his 4-year-old son Holden. Mark Greer, owner of Midwestern Construction and Roofing, said he has had between 75 and 100 calls from homeowners in Collin and Denton counties who are worried about damage to their roofs from Sunday night's hail storm. 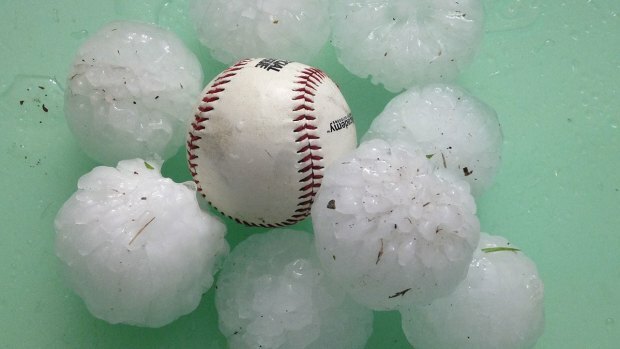 "I don't know if I could tell you a shingle, even the impact-resistant ones, that could withstand baseball-sized hail," Greer said. Greer said the typical roof in the Dallas-Fort Worth area is a composition roof, which is supposed to last up to 30 years. 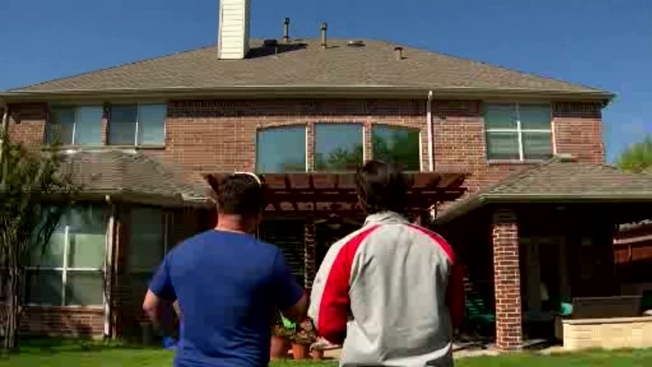 Several homeowners we spoke with said the hail damage is just part of the cost of living for life in North Texas.